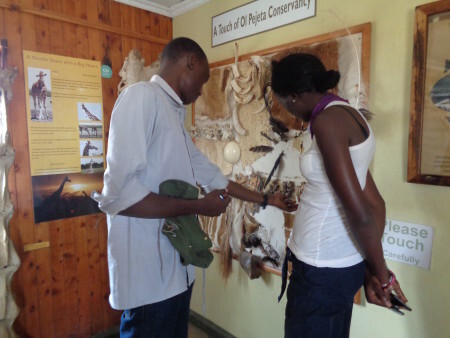 Trip to Ol Pejeta Conservancy! 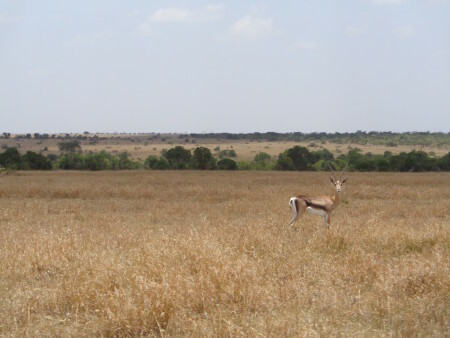 Home|Trip to Ol Pejeta Conservancy! 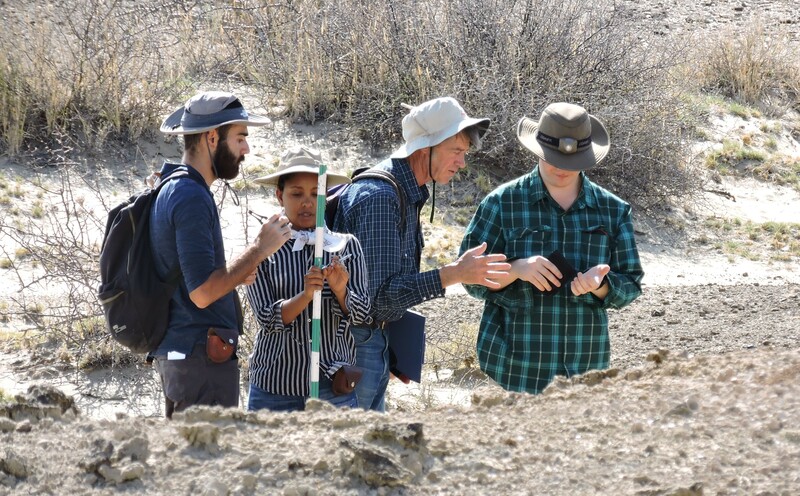 On Thursday, the students traveled to Ol Pejeta Conservancy, the world’s largest black rhino sanctuary and home to three of the worlds last remaining northern white rhinos. 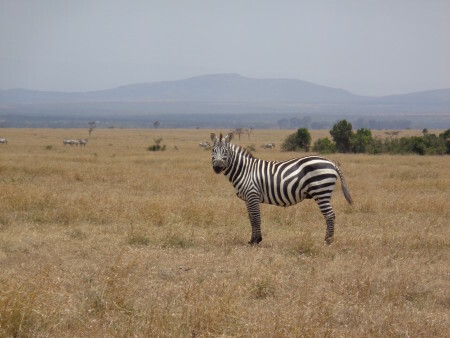 Ol Pejeta is not only home to these extremely rare rhinos but hundreds of zebra, gazelle, impala, elephants, baboons and even lions! 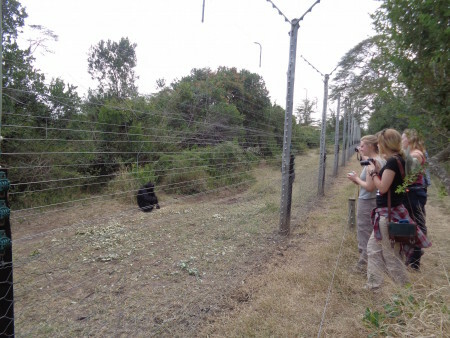 Although not native to Kenya, the students even had the chance to visit Ol Pejeta’s famous chimpanzee sanctuary. 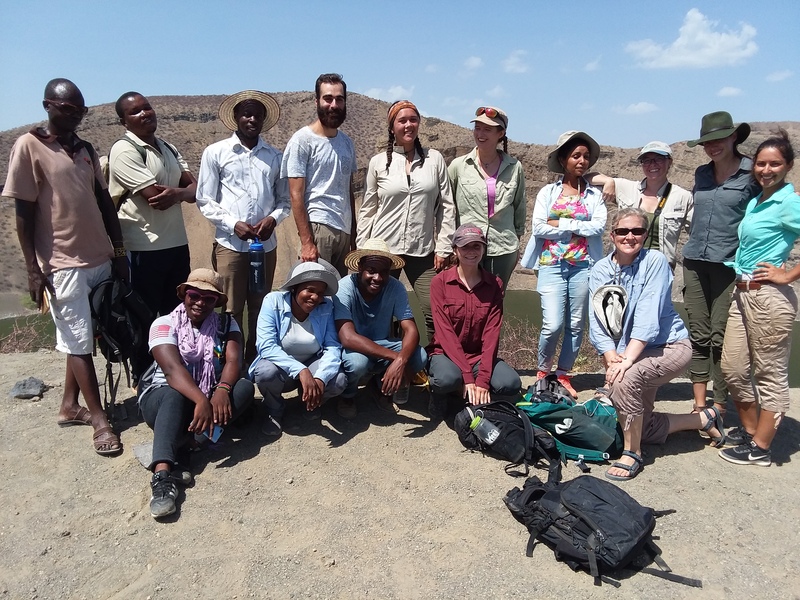 Throughout the trip, the students were accompanied by a safari guide, Jackson, who knew everything and anything about all the animals at the conservancy! 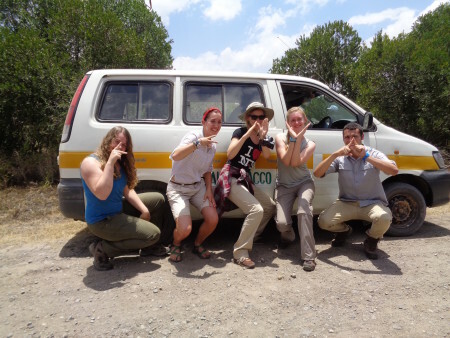 Yvette, Millie, Emily, Natalie and Max spelling out Kenya right after arriving at Ol Pejeta! 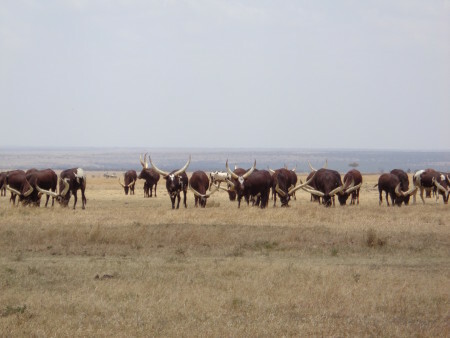 Ankole Longhorns enjoying the grass! 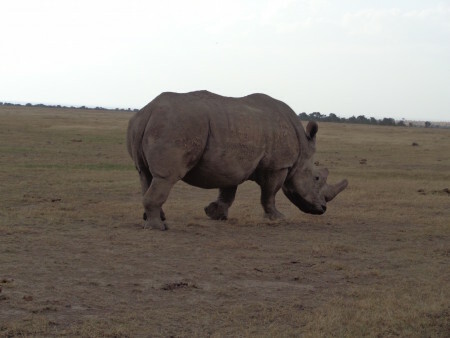 One of the three white rhinos!! 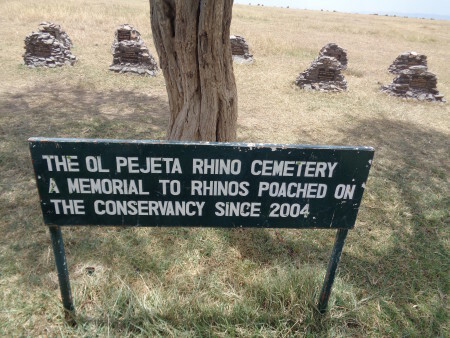 One of the first stops made was to the rhino cemetery which recognized all of the rhinos poached on since 2004. 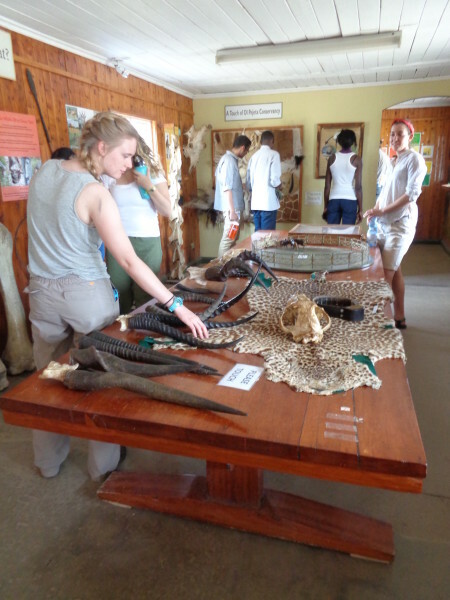 This was a very heart-rending experience but extremely important for the students and other visitors to see the impacts of poachers. 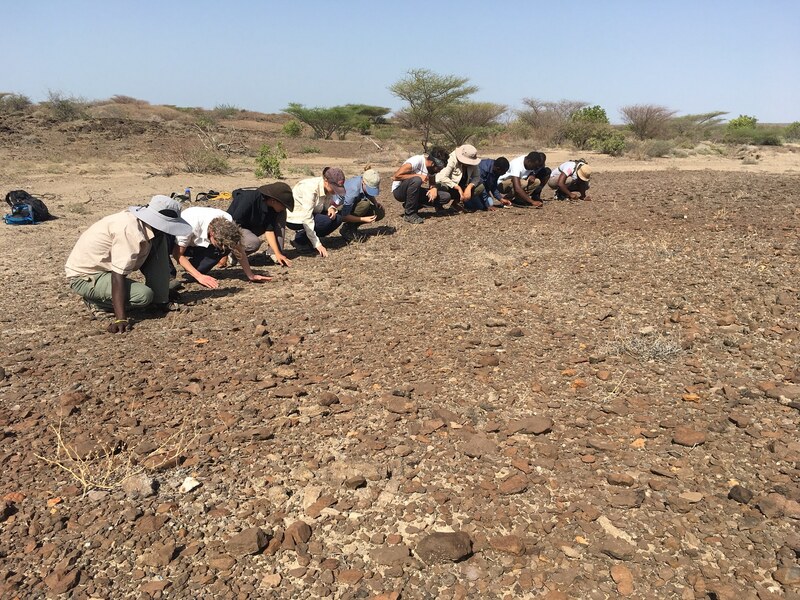 This allowed the students to see how important it is to have this conservancy by protecting many animals from going extinct. 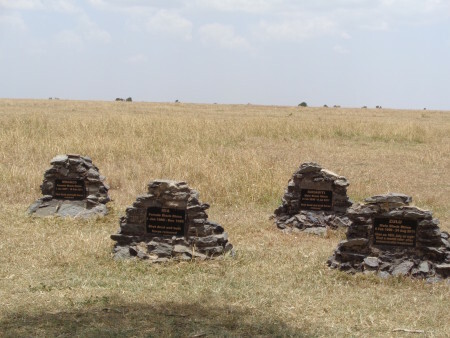 Headstones for some of the rhinos who passed from poaching. 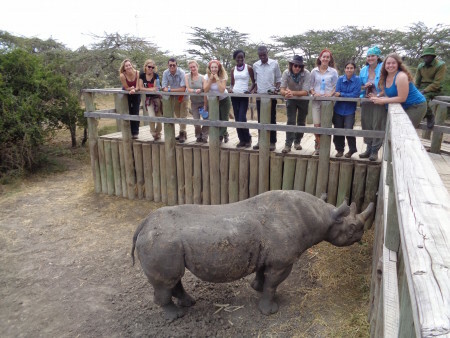 The students had the opportunity to meet a great black rhino named Baraka! 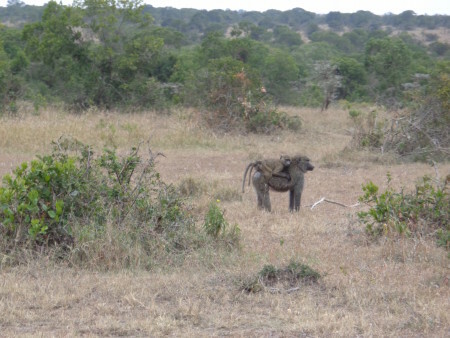 After losing an eye in a fight and the other to a disease, Baraka could never be released back into the wild. He is permanently blind, however, lives happily in a very large enclosure with endless amounts of hay, carrots and lucerne to feed on! 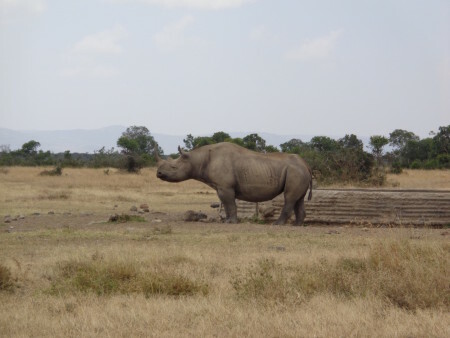 Baraka is a fat and happy rhino who simultaneously works as an ambassador for his endangered species. 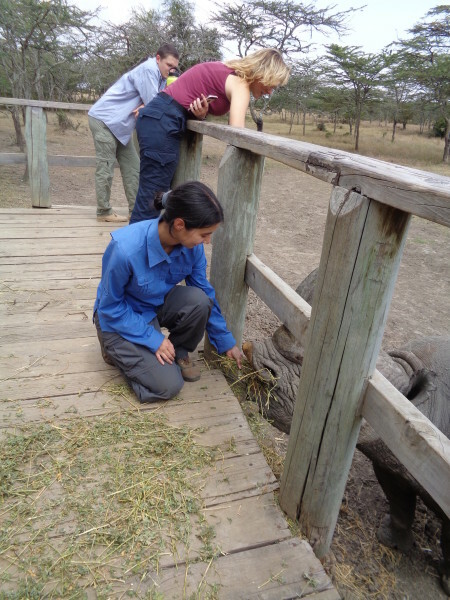 The students were ecstatic to spend the afternoon with Baraka as each of them took turns feeding him. 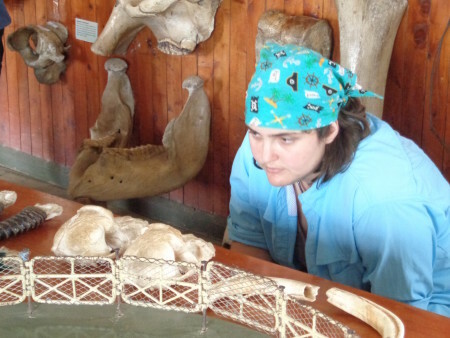 Ol Pejeta also has an incredible information center where the students were able to explore and learn more about the animals at the conservancy. 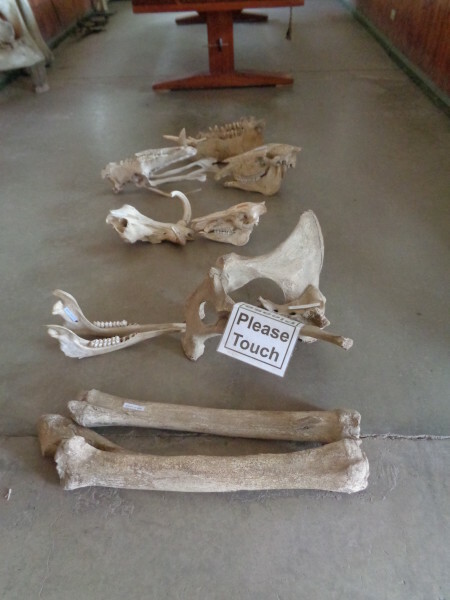 Many were confused by the “please touch” sign, however, after looking around the center, they quickly learned everything in there was supposed to be touched! 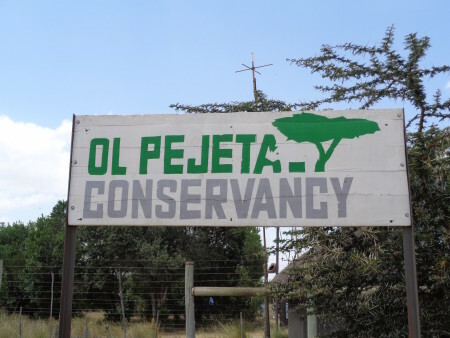 Ol Pejeta not only wanted visitors to enjoy the beautiful animals but this facility’s main mission is to teach the public about these animals and issues concerning them like poaching. 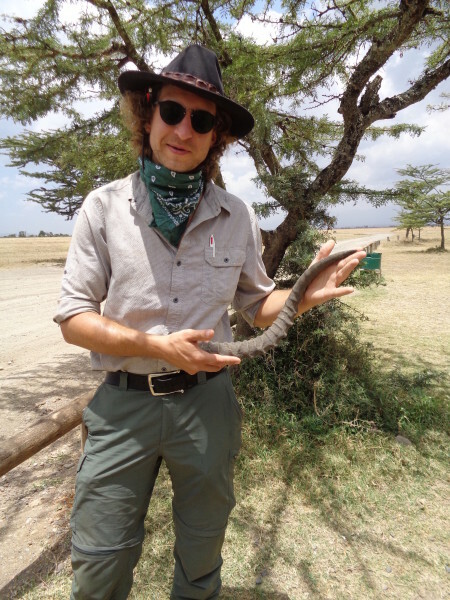 Jon found an impala horn! 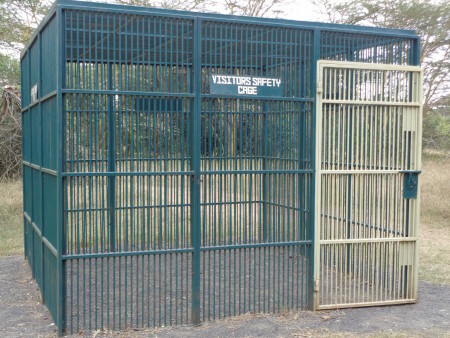 Our next stop was to the Sweetwaters Chimpanzee Sanctuary which is the only place in Kenya where chimpanzees can be seen. 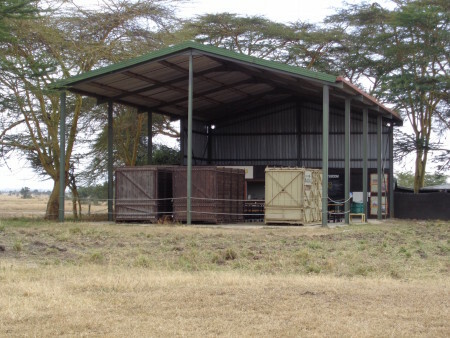 Rescued from the black market, this sanctuary provides a refuge for these beautiful animals and gives them a chance to start over after such traumatic experiences. 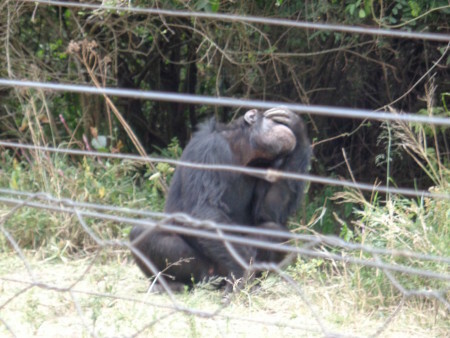 When found, many of the chimpanzees sustained multiple injuries and were in a very poor state. 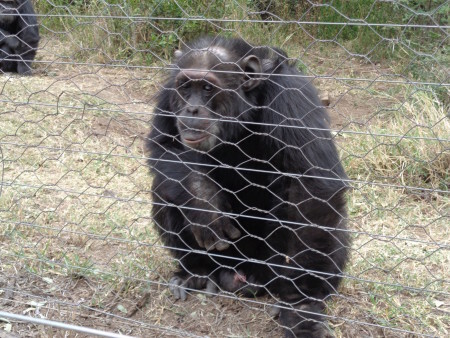 Fortunately, the sanctuary now houses 38 chimpanzees all on the road to recovery with happy futures in store. 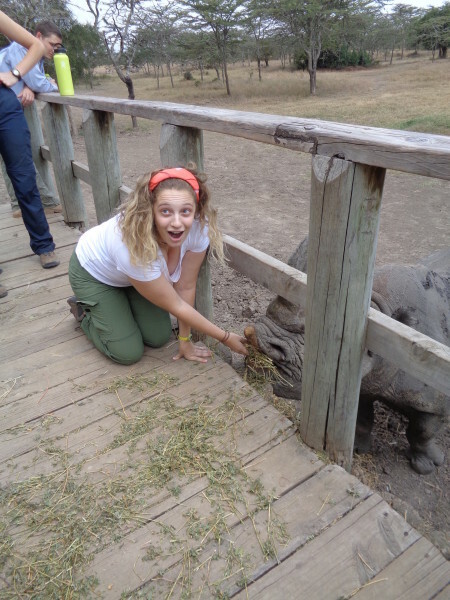 The students were fortunate enough to meet some of these beautiful creatures! 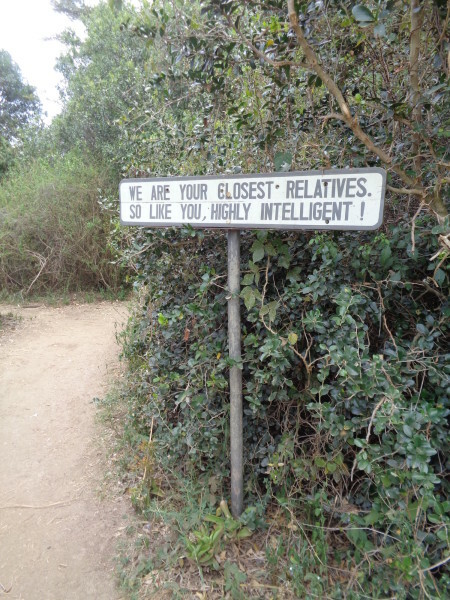 Just incase, we had somewhere safe to hide! 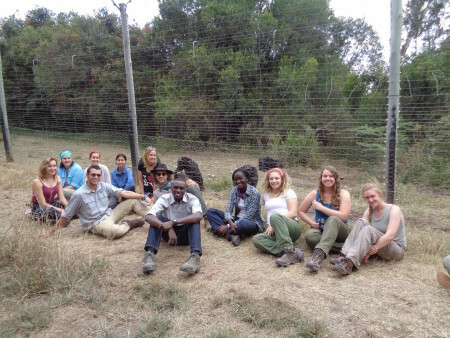 Students’ first encounter with the chimpanzees! 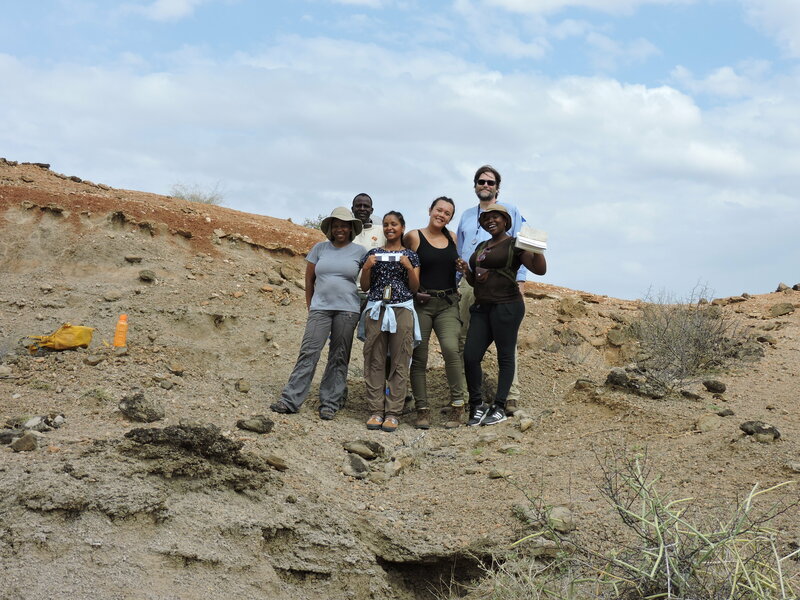 As the day came close to an end, we were all still very eager to see a lion. 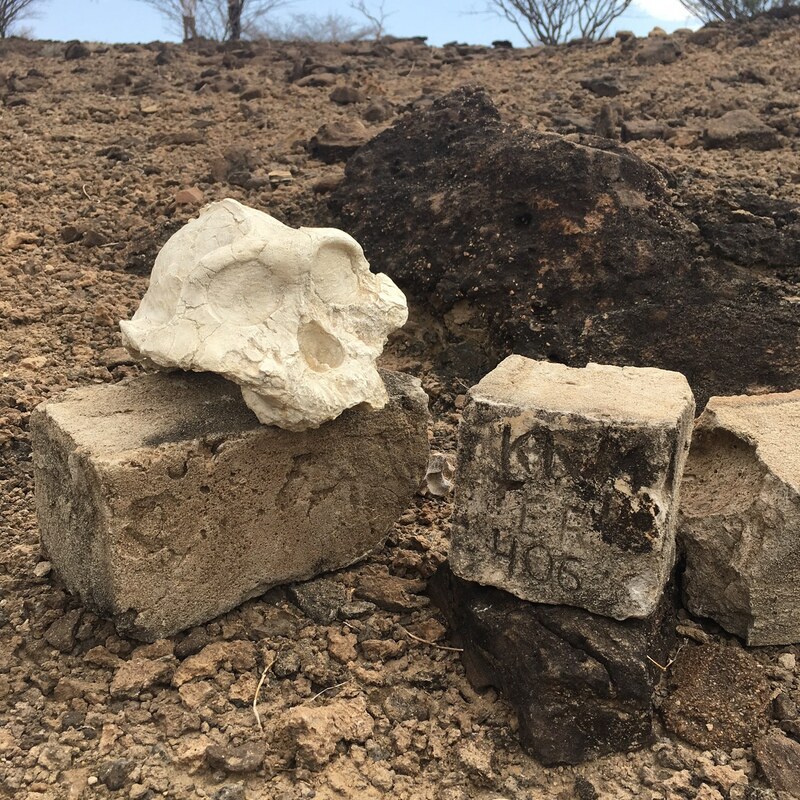 Many people at the facility told us they were rare to see, but they were definitely out there. 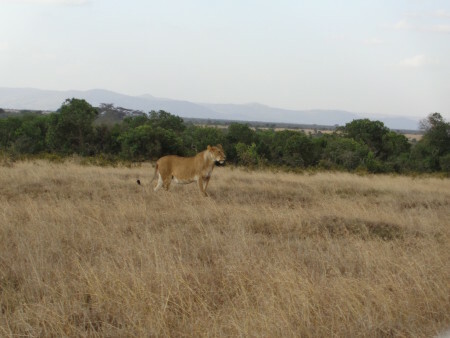 Asking every person we saw, we finally heard that there was one lioness nearby. 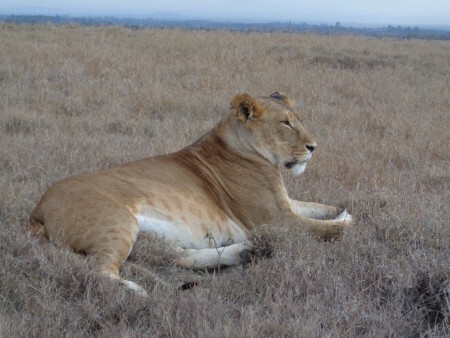 Our drivers quickly drove in the direction we were pointed to and were happy to find that the lioness was still there! 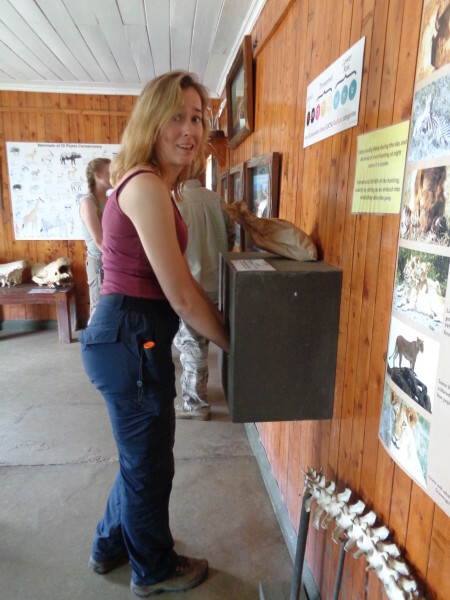 We learned from Jackson that she was very young due to the spots still on her stomach and that she was pregnant. 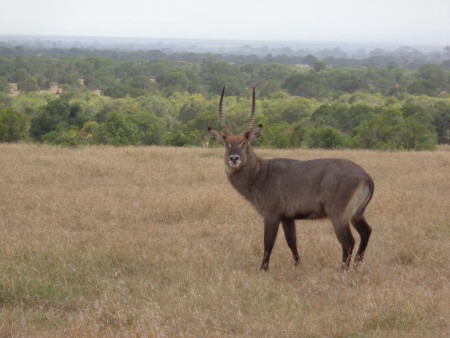 The day was definitely complete as we all sat and watched this beautiful majestic animal lounging in the grasslands. 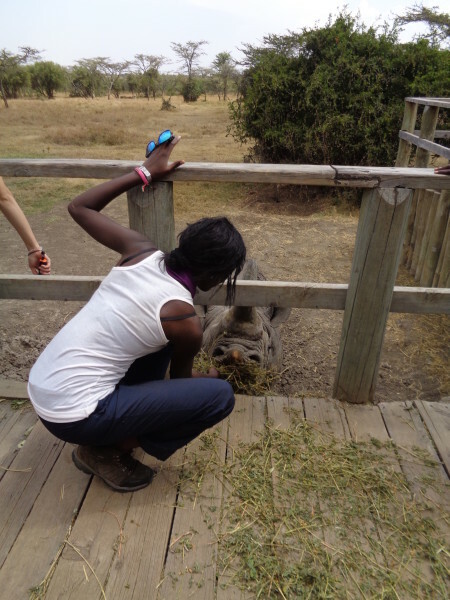 By Jayde Hirniak|2017-01-04T18:04:34-07:00September 19th, 2016|Fall 2016, Field Schools|Comments Off on Trip to Ol Pejeta Conservancy!